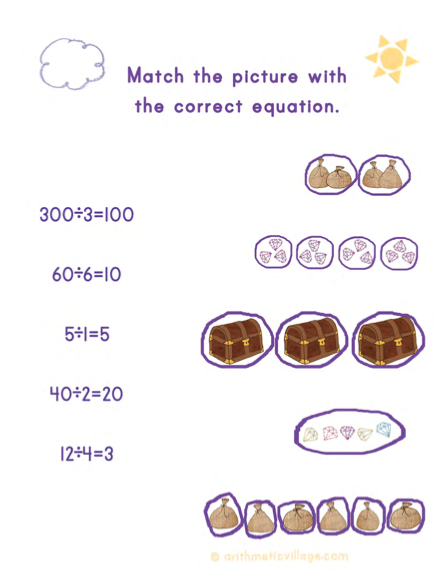 Match the division equations with the pictures. I love these little visualizations, they let me know the depth of understanding the child has about the work. Do they have to talk about the pictures and work each one out? Or do they quickly glance and already know? Either way, it’s great practice solidifying division concepts!